Happy Humpday babes! Yay for being halfway through the week already! I have a busy Thursday and Friday so I'm hoping the rest of my week will go by quickly. I'll be completely MIA from the computer on Friday (which is a nice change of pace since I'm usually sitting in front of a computer all day) to do an all day video shoot of some drink recipes for our website so hopefully I'll be able to get some behind the scenes footage to share with you all! Tomorrow we have to go set up for the shoot so that means I'm stuck driving two days this week but it should be fun so I won't complain! 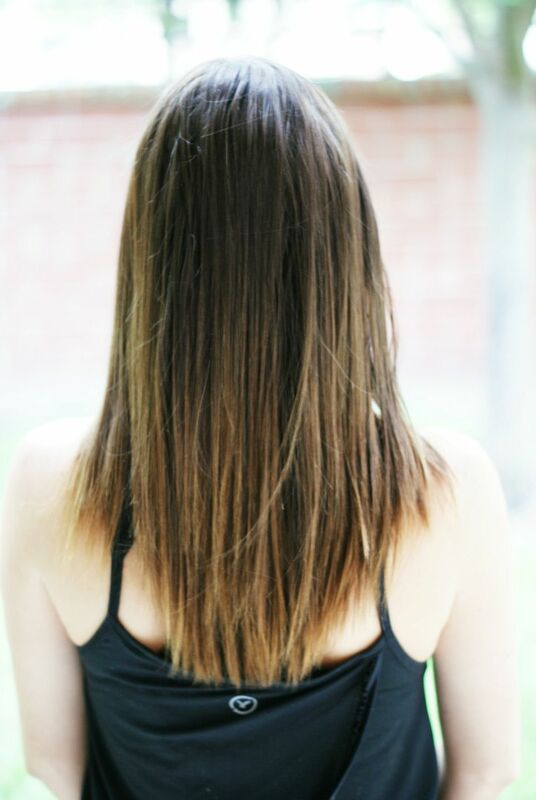 I wanted to share with you all some diy hair treatments for removing build up. I'm not really one who puts a lot of product in my hair, I rarely use hairspray and the only thing I usually put in after washing my hair is "It's a 10". However when I know I'm going to need my hair to hold for awhile (like this weekend for the concert and then the wedding) I use Paul Mitchell Soft Sculpting Spray and cross my fingers. Unfortunately no matter what hair spray I use my hair usually doesn't hold all night, especially if I'm going to be outside in the heat and humidity of Florida. I'll admit, I probably sprayed a little more than usual in my hair this weekend and it held for awhile but I've noticed a lot of product buildup in my hair that no matter how many times I wash it, it just isn't coming out. Since I don't use a lot of product I never felt the need to go out and buy a clarifying shampoo however if I did I'd probably go with this one or this one but instead I did some research on at home treatments you can make with stuff you probably already have on hand! Mix together until it’s a paste. Then massage into your hair. Yup, this one is as simple as that! And that's it! Both of these are super simple and can be done with ingredients you probably already have in your pantry! How do you erase build up from your hair? How fun you get to film a video, that sounds fabulous. I know you're gonna rock it. This is such a great post, I've been looking for a DIY mask that doesn't require a bazillion ingredients. Thanks for breaking it down and showing the results :)! I'm lucky if I can get my hair blow dried in the morning so I feel you on the less is more with products :-) I am all about the natural ingredients especially when it comes to hair. Great tutorial girl! I have to get rid of buildup all of the time so the first one is perfect for me. Friday will be so fun for you! Have fun! These are great! Do you put both on when your hair is dry or wet? I definitely need to give these a try! I always want to try hair masks, but never want to buy one! yay for all natural treatments! my fav. 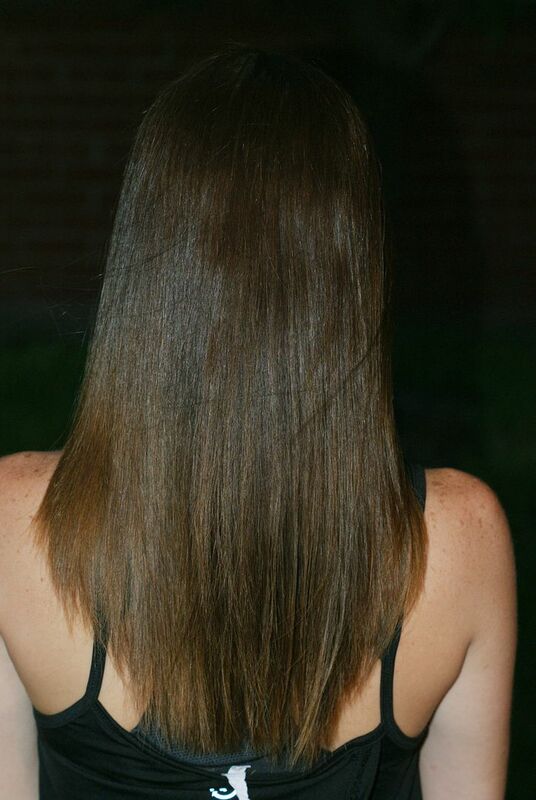 my hair is so naturally oily that coconut oil makes me nervous but worth a try! Great tutorials, lady! I'm all about using stuff I already have at home. Looks like both work well, too! i use a good clear shampoo for buildup. For my severely scalped friends, i recommend prell, but only once in a while. What can't you use coconut oil for? It's just amazing. It's so funny you should post this today because I've been in the same boat and was considering running out for some deep cleansing shampoo. It's gotten to that point where my regular one isn't working quite the same. I'll definitely have to give these a try. I can't believe the transformation in your hair from them, it looks amazing! Wow, what a difference and I totally have these things at home. Is there anything coconut oil can't do?! Such a great treatment! Thanks for sharing! I have been looking for DIY treatments and you post about it. So fantastic! I cannot wait to try these. Thanks for sharing. So easy... looks like a huge difference too! Girl, the humidity is hair's worst nightmare! I don't even bring hot tools when we vacation somewhere humid because my hair goes wavy and frizzy if I try straightening it, or straight and limp if I try curling it. If I lived in the humidity my hair would just be a hot mess all the time, ha ha! These are awesome (and simple, woo hoo!) concoctions to try at home! Oh I need to try these treatments for sure, your hair looks so shiny!! How easy! 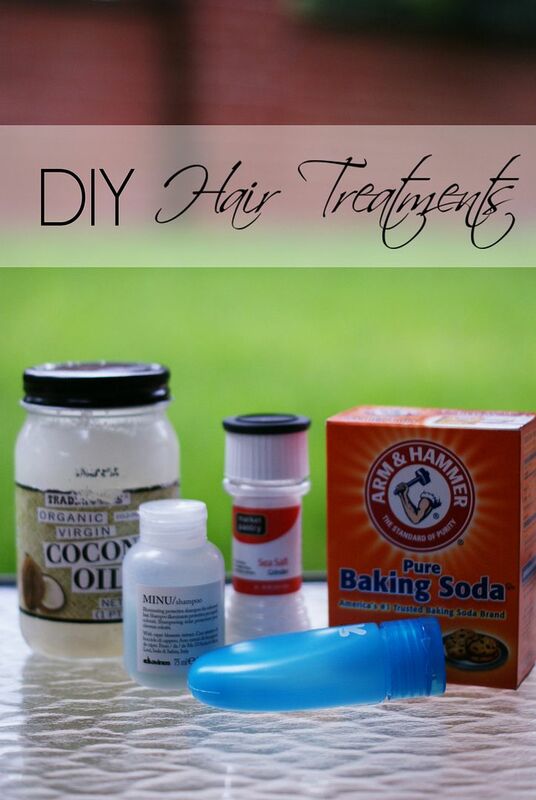 I have never tried a DIY hair product but I shoukd totally try this! Oh shooting drink recipes how fun!! How fun and easy is this! These ingredients are so simple too! What a great Friday that your filming a video AND on drink recipes… Enjoy!! How cool! I have never tried DIYing a hair mask or anything of the sorts! I'll have to try the coconut oil one. I've used coconut oil for mask but never anything like this! You can definitely tell both masks made a difference - your hair looks so shiny and healthy! Good ol' coconut oil - what can't you use that stuff for?! great post, the water here has a lot of calcium in it... I wonder if this will help me. And yay for a fun video shoot on Friday, can't wait to see what you guys come up with! for reals?! these are that easy?! totally trying the baking soda one. i never take the time to clarify my hair, but these two are so easy i just might have to! your pictures are great to show it actually does make a difference! 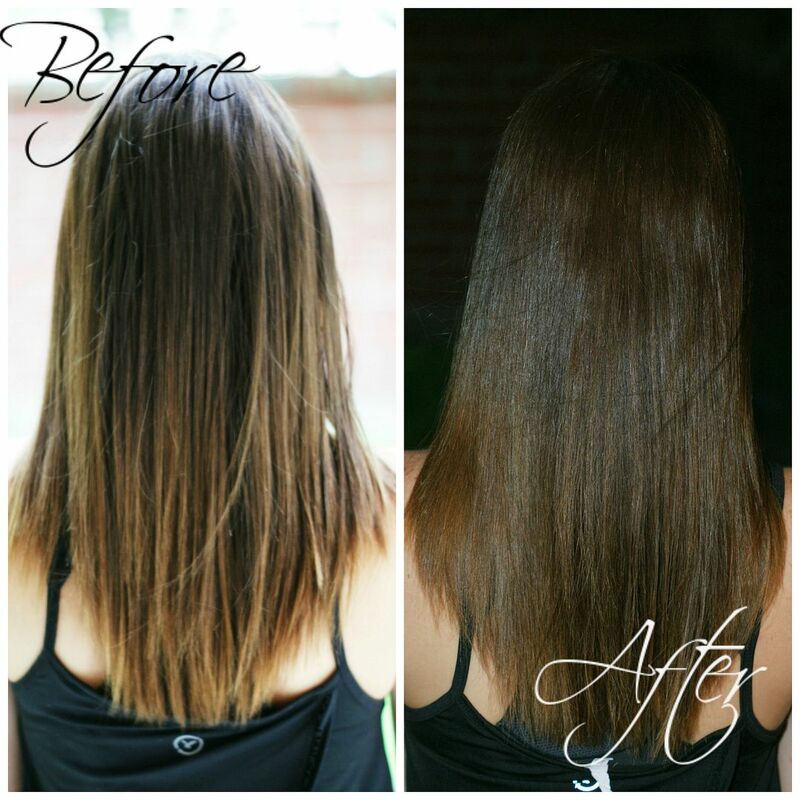 I really think clarifying is SO important--from being a hairdress I really can see the difference in peoples hair when they do it every once in a while :) What a great at home treatment!! I am the queen of hairspray build up so I need to try this! I've never done a clarifying wash but Lord knows I need to with all of the hairspray I use! This is goodness! I use apple cider vinegar on my hair once a week to get rid of the build up, but I can't stand the smell so this is a great alternative!